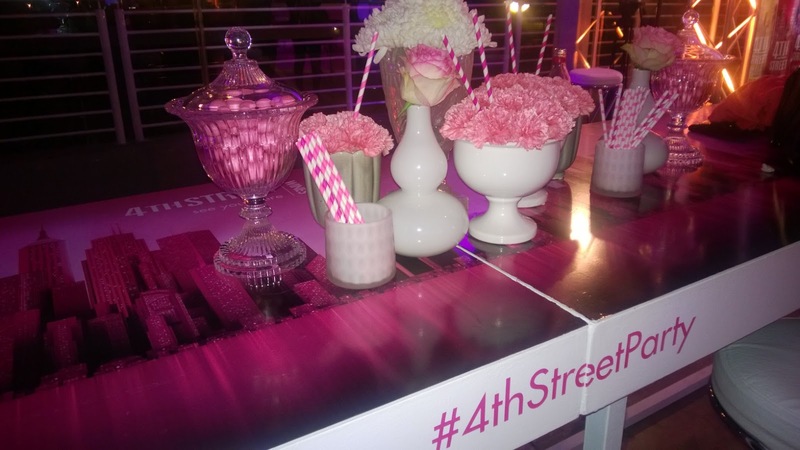 Last week I was invited to the #4thStreetParty to celebrate the launch of the new 4thStreet Wine single serve! The event was absolutely spectacular and I can safely say it's the best launch event I have been to so far! 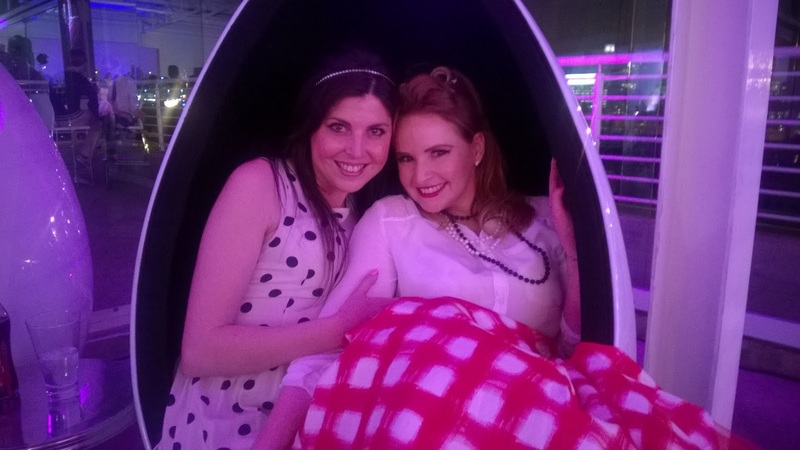 I took my friend Sasha (or @FaceValue_ZA as she is known on Twitter) as my +1 and boy oh boy did we have a good time! 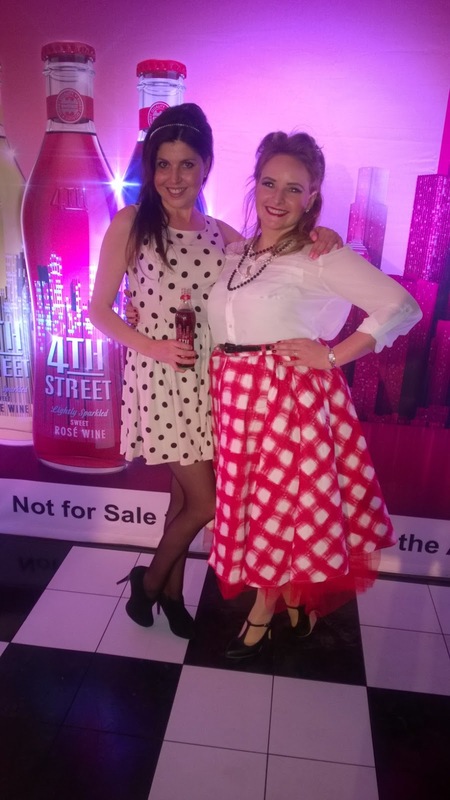 The dress code was 1950’s inspired glamour and we were told to think pin-up style pouts, polka dots and pink. 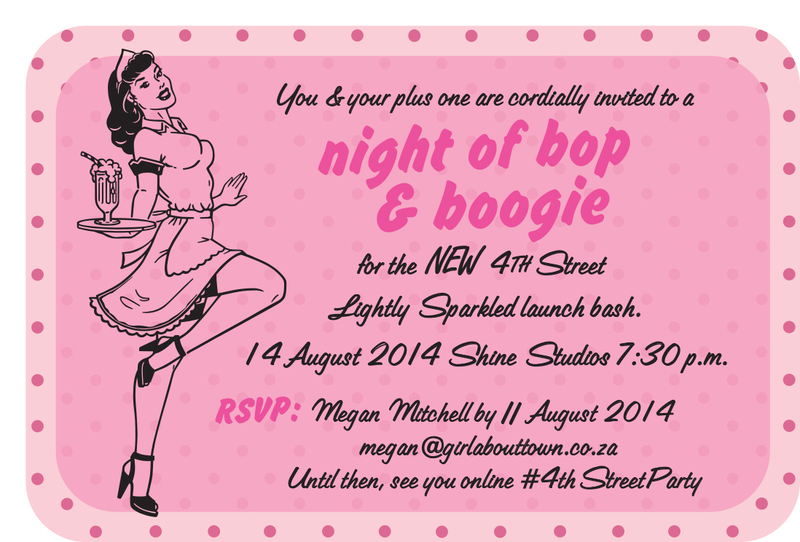 We could add a rockabilly touch to our attire or go all out and the best-dressed guest would walk away with a sublime prize! Sasha went all out and really should have gotten best dressed but alas, she did not. The venue was absolutely gorgeous and had a beautiful veiw over looking the always stunning Johannesburg night skyline. 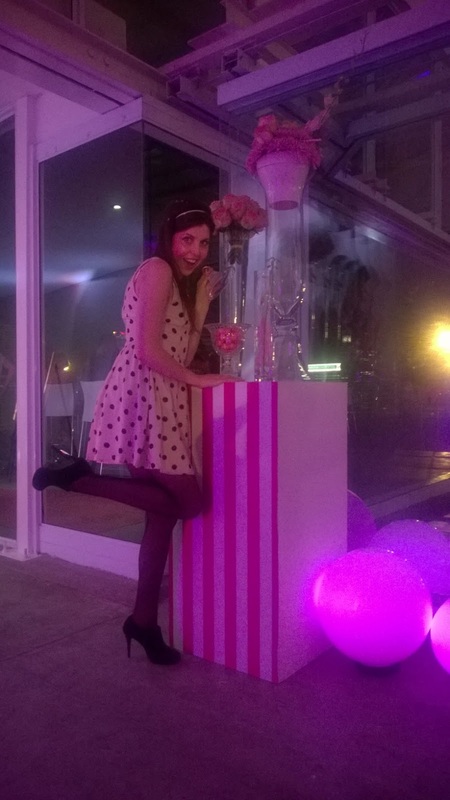 The decor was pretty and pink with such attention to detail which all added to the 1950's ambience. 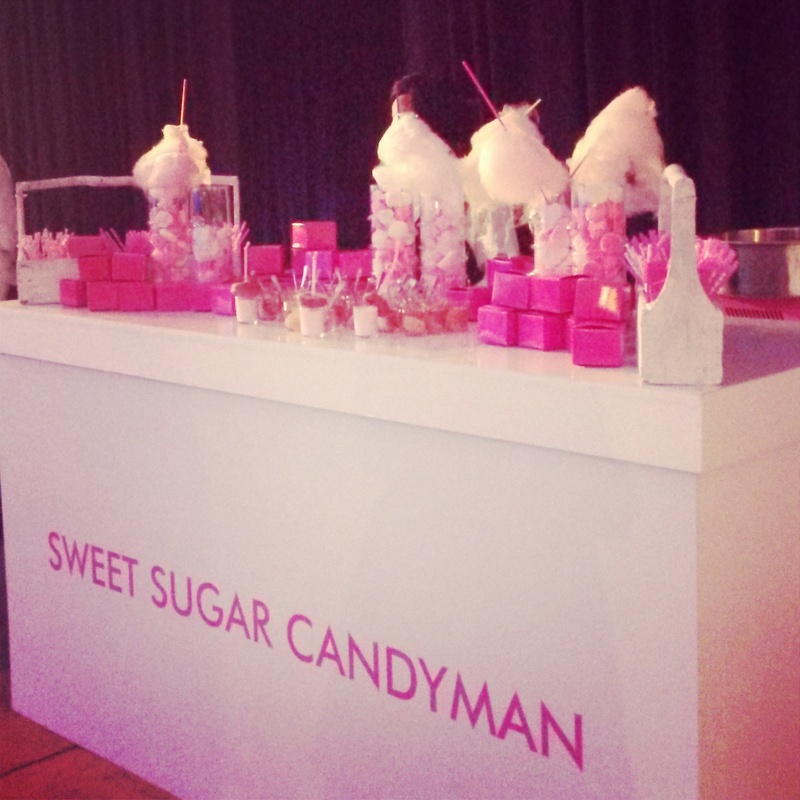 The catering was great, with little burgers and fries as well as a full on candy station which Sasha and I tried our very best to keep away from! Ok let's actually talk a little bit about why we were there - THE WINE!! 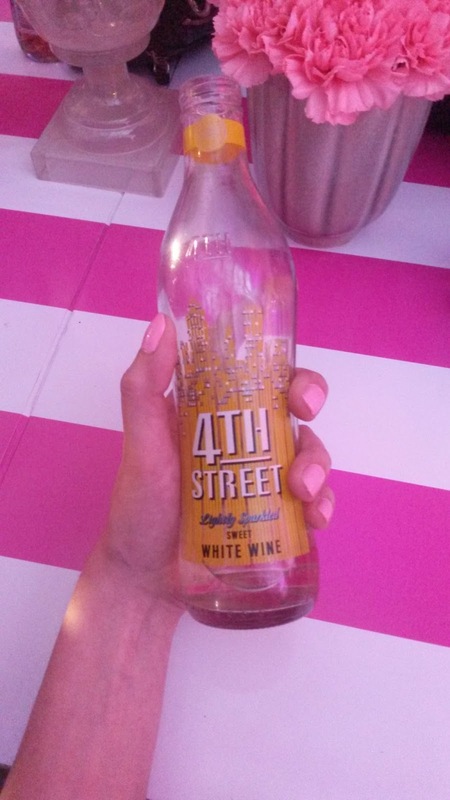 The 4th Street's new wine offering is a lightly sparkled wine in a 300ml bottle. The first of it's kind in South Africa, the 100% pure natural wine invites consumers to enjoy an array of new wine-drinking occasions made possible by single-serve convenience. 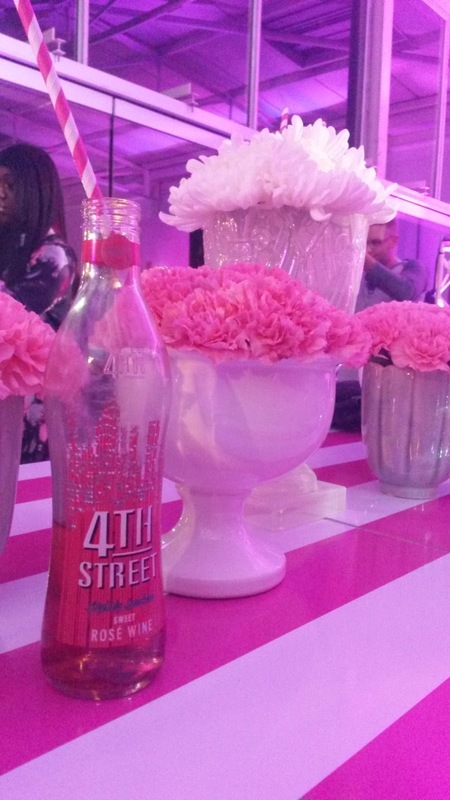 4th Street Lightly Sparkled Rose: Deep coral pink colour and packed with delicious sweet berry flavour. Purchase a 6 x 300ml pack for a retail price of ONLY R63.00, available from leading retail stores and supermarkets. - I really can't believe how reasonably priced they are!!! Now back to the party! Apart from getting to meet some lovely new faces and chatting to my regular event attending friends there was also so much other entertainment! Photo booths are great fun but they are becoming a bit stale now so it was so wonderful to see a fresh take on the photo booth at the event. A video recording was taken of guests throwing confetti and dancing around and then played back to everyone in SLO-MO!! The results were so much fun and I think I did about 3 of them with different groups of people! I'm looking forward to seeing this included at other events as it's just so much fun and a much needed updated concept from the photo booths. We were also serenaded by the fantastic new group - Shoowop Shop which consists of three beautiful singers, including Flash Republic's Tamara Dey. 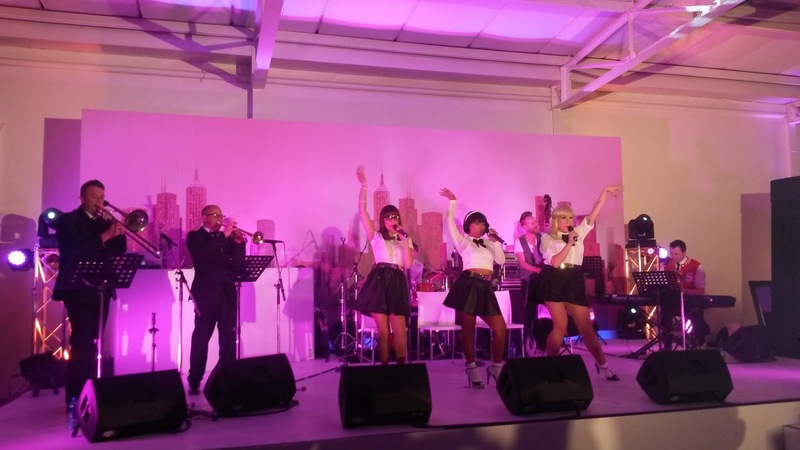 They were absolutely fantastic and chose the perfect songs to perform, keeping within the 1950's theme. All the cute dance moves from the 50's came out and we were all totally entertained and impressed by this amazing collaboration of ladies. 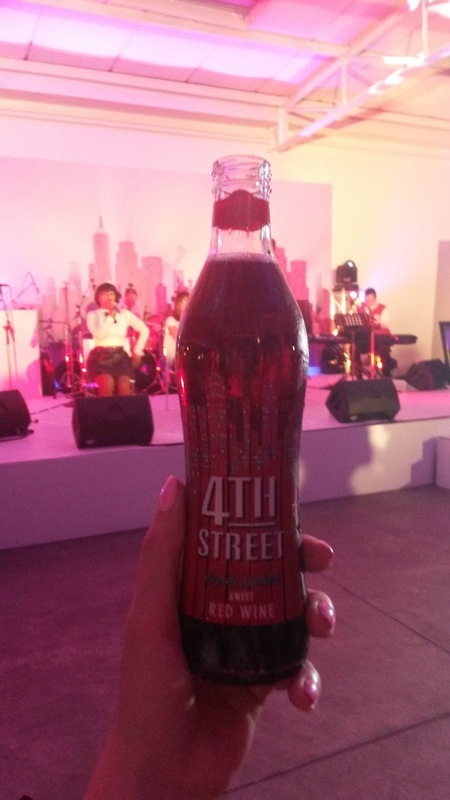 SUCH an amazing evening and the perfect introduction to the spectacular 4thStreet single serve wine! Thank-you to Girl About Town for including me on the invite list and of course to 4thStreet wine for hosting such an incredible event! 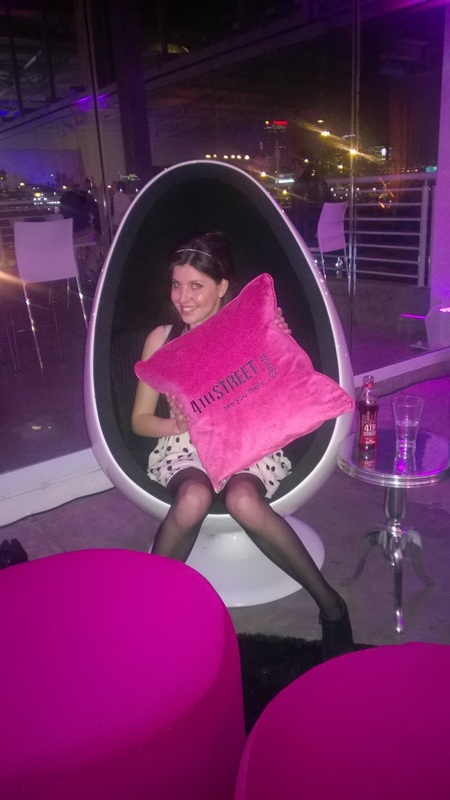 Follow 4thStreet on Twitter and Facebook to keep up to date with what this exciting brand is up to.